“No special contingency measures for data flows” will be taken out in the case of a no-deal Brexit, according to documents released on Monday (11 February) . The documents disclose a private meeting between Commission Secretary-General Martin Selmayr and representatives from the telecommunications giant Vodafone and were made public after a freedom of information request was issued by the German digital news platform, Netzpolitik.org. 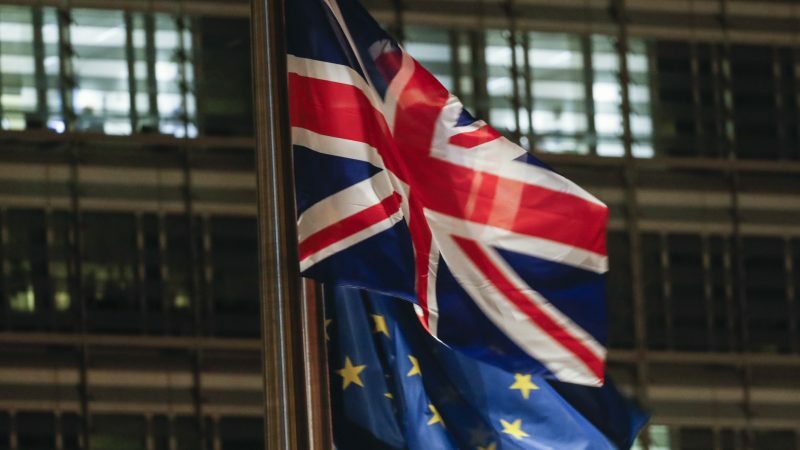 “Given the high degree of alignment between the UK and the EU on data protection, the UK does not intend to impose additional requirements on data flows to the EU after exit day,” a UK government spokesperson told EURACTIV, in response to the concerns highlighted in the document. Following publication of the document, the European Data Protection Board (EDPB) published an information note on Tuesday, signed by chair Andrea Jelinek. “In the absence of an agreement between the EEA and the UK (no-deal Brexit), the UK will become a third country from 00.00am CET on 30 March 2019,” the note reads, continuing to say that as a result, the transfer of personal data to the UK has to be based on the adoption of a future legal instrument, regardless of the fact that the UK is compliant with the EU’s General Data Protection Regulation (GDPR), which puts rules in place as to how companies obtain, process and store personal data. As the document released earlier this week reveals, businesses are anxious. EURACTIV approached Vodafone to expand on their concerns aired in the meeting with Selmayr. “All stakeholders understand the critical importance of the free flow of data between the UK and EU,” a Vodafone spokesperson said. EURACTIV reported in October that Digital Minister Margot James had admitted to MPs that substantive talks on data sharing between the EU and UK were yet to start. The UK government has previously said that it would push for an adequacy agreement with the EU after the UK’s withdrawal from the bloc. Having already transposed the EU’s data protection regulation (GDPR) into national law, there is a good chance that the bloc would consider adding the UK to a list of countries already signed up to adequacy agreements with the EU, which include countries such as New Zealand, Switzerland, Japan, and Uruguay. However, such agreements typically take years to finalise. James sat down with representatives from the UK’s tech sector on Wednesday (13 January), in which the issue was discussed further. EURACTIV spoke to Dom Hallas, Executive Director of Coadec, a London-based tech think-tank, who sat in on the meeting. Hallas spoke with concern about the future of businesses dealing in data flows. “Now isn’t the time for hardball – the UK has implemented GDPR and a no deal would mean real businesses are at risk on both sides of the British channel,” he said. The Brexit negotiations are currently at an impasse, after MPs in January rejected the Withdrawal Agreement deal negotiated by Prime Minister Theresa May by a historic margin. May has since returned to Brussels in the hope of convincing EU officials to agree on legally-binding revisions to the Irish “backstop”, which seeks to avoid the necessity of having to establish a hard border between Northern Ireland and the Irish Republic. The Prime Minister is set to return to the Commons on 26 February after having attempted to find further leeway on the backstop with the European Commission.